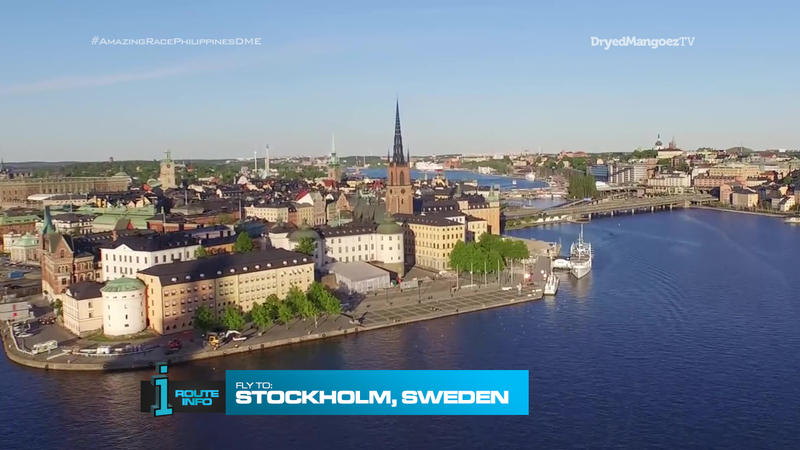 The Race heads northeast as teams learn they must fly to Stockholm, Sweden! All teams will be on the same SAS flight arriving in Stockholm at 12:25pm. Teams can ONLY travel on public transportation this entire Leg unless otherwise noted. 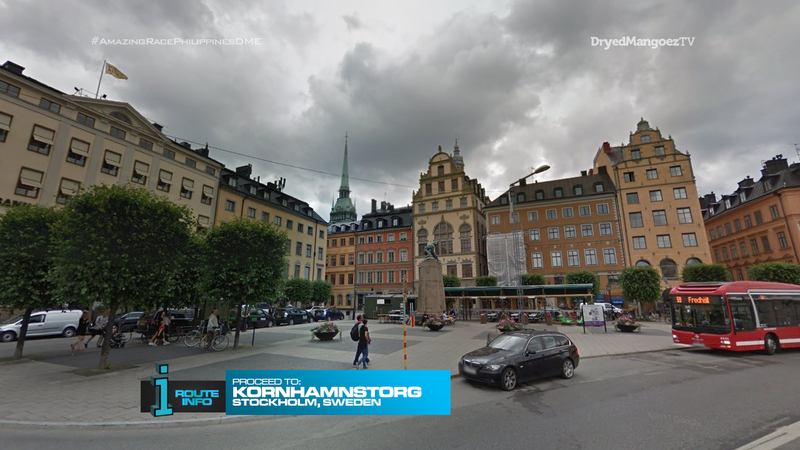 Upon arrival in Stockholm, teams must make their way to Kornhamnstorg. Here, teams must check in at the BLIND! Double U-Turn Vote Board before opening the next clue. 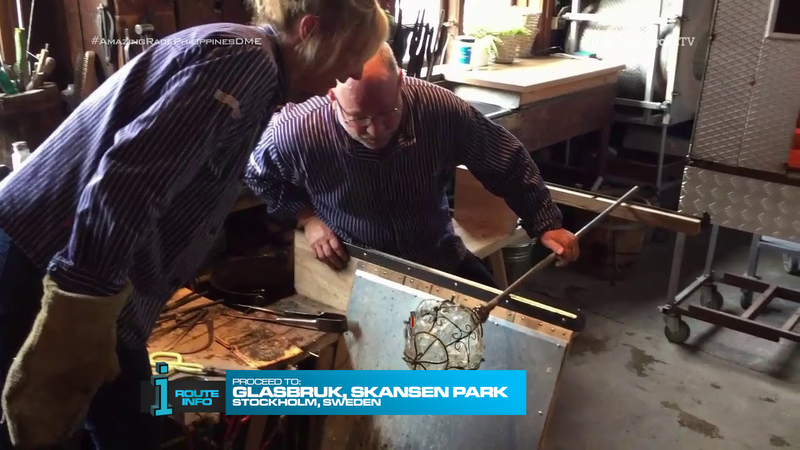 That clue directs teams to Glasbruk in Skansen Park where they will find the Road Block: Who can blow something beautiful? 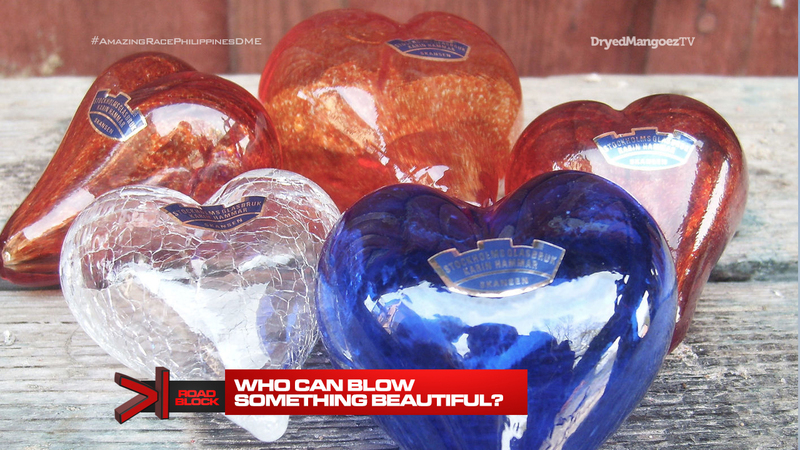 For this Road Block</B., teams must choose recycled glass shards and use a glass-blowing technique to make a traditional glass ornament. When approved, teams will receive the next clue. This is also the Trigger Point for this Leg of the Race. If any team breaks three or more balls before successfully completing the Road Block, the U-Turn or Yield will be activated on the next Leg. 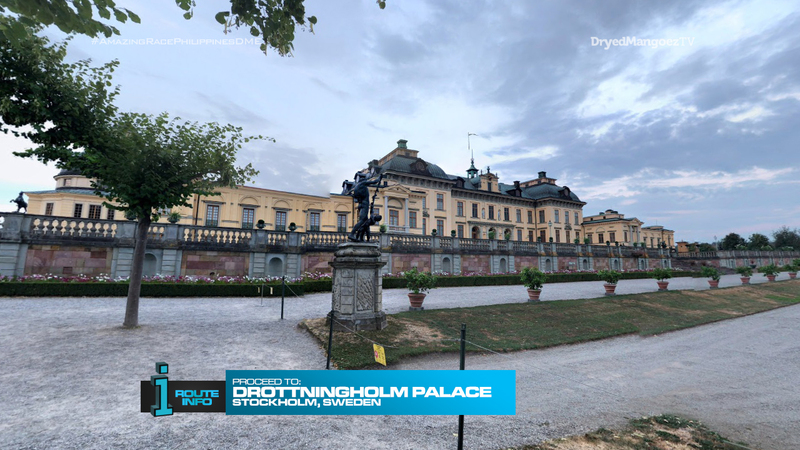 Teams must now make their way to Drottningholm Palace. Here, they will find the Blind Double U-Turn Reveal Board before find the next clue which reveals the Detour: Friendly Fika or Bonfire Build. For Swedes, fika is a part of everyday life. Not just a coffee break in the middle of the day, but an opportunity to relax, appreciate the day and enjoy it alone or with friends. 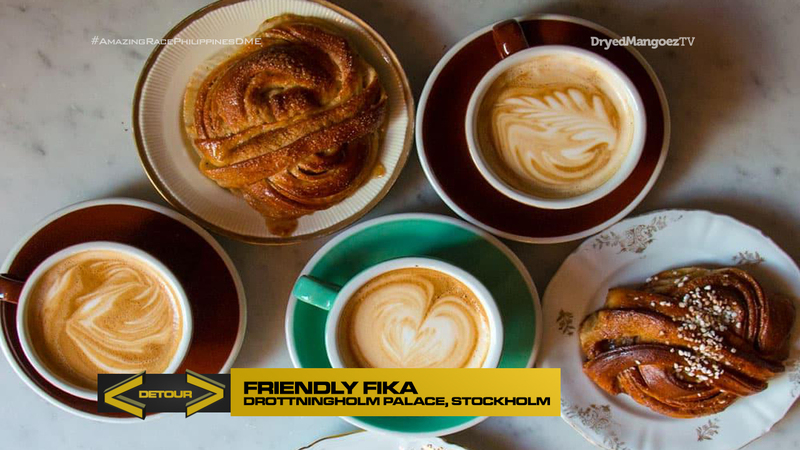 In Friendly Fika, teams will be taking orders from two tables of waiting customers who will give their coffee and sweets orders in Swedish. Teams must correctly serve the tables to receive their next clue. Walpurgis Night is celebrated on the eve of the feast day of Saint Walpurga and in Sweden, it also marks the arrival of spring in large community gatherings. 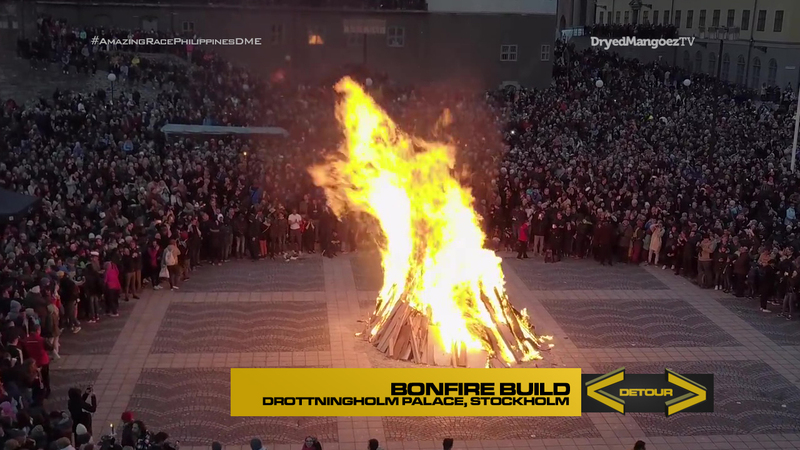 In Bonfire Build, teams must search the grounds of Drottingholm Palace for enough wood to build a Walpurgis bonfire. Once their bonfire is safely lit, they will receive their next clue. 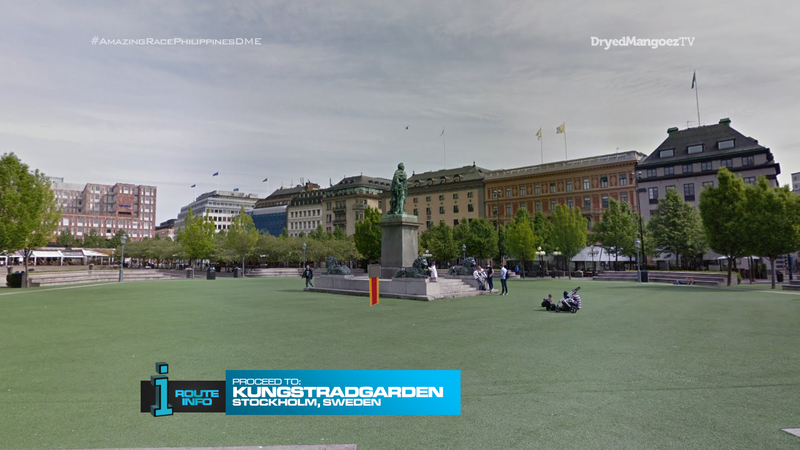 Teams must now make their way to Kungstradgarden and search the park for their next clue. A Dalecarlian or Dala horse is a traditional carved and painted wooden horse originating in the Swedish province of Dalarna and a national symbol. For this task, teams must paint a life-sized Dalecarlian horse according to an example. Once teams have correctly painted the horse, they will receive the next clue. 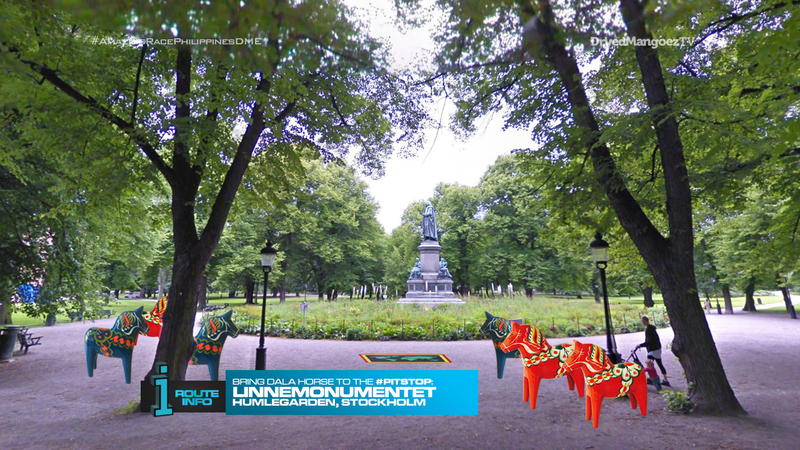 Teams must now roll their Dala horse through the streets of Stockholm and find the Pit Stop in the vicinity of the National Library of Sweden in the Humlegarden. 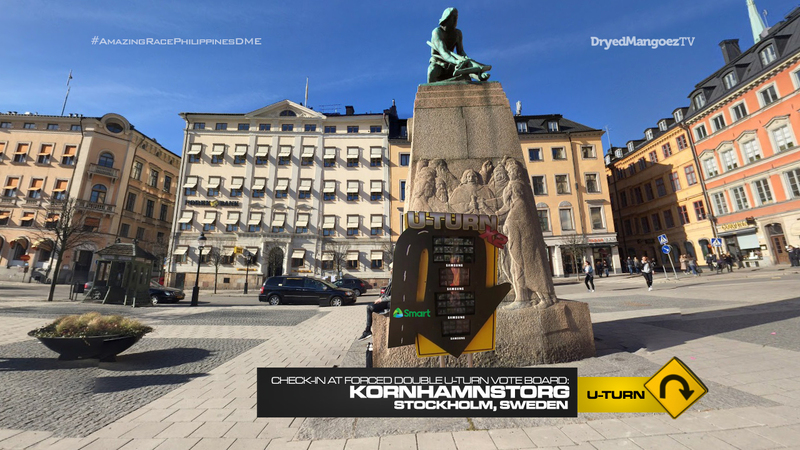 The Pit Stop will be located at Linnemonumentet, a statue of Carle Linneaeus, the man who established binomial nomenclature or the formal system of naming species. So it’s really interesting that TARUS has never had a full Leg in Stockholm! 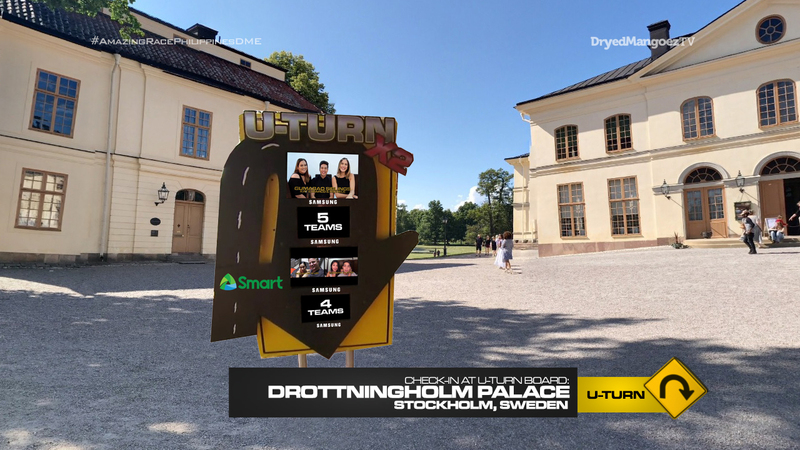 There’s certainly plenty to feature and highlight in Sweden’s capital city as TAR China 4 did. One extra challenge for the teams this Leg is to use public transportation. It’s already a full Leg without it, but it’s nice to mix things up sometimes. First up, we have the U-Turn Vote Board at a nice location. Having this only be a Route Marker should help already getting teams separated at the start of the Leg because of the public transport. Next up is a task recycled from TAR China 4. 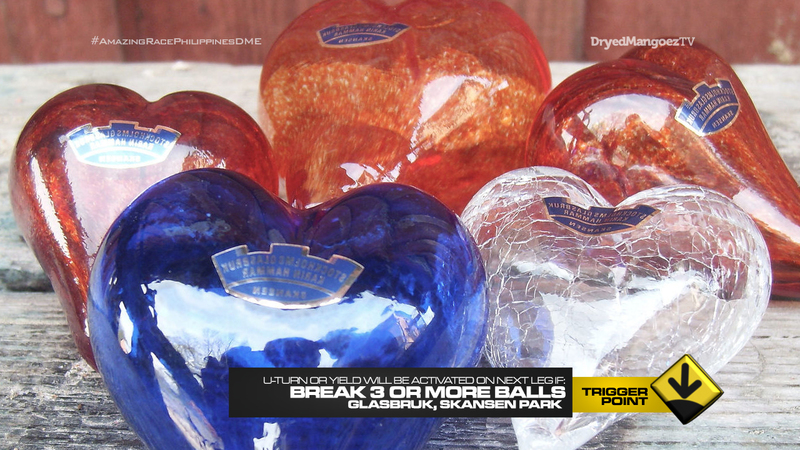 And glass blowing has certainly been done before on TARPHDME and other TARs as well. But it’s a good task to have here at the start of the Leg, especially as a Road Block. Also an easy spot for the Trigger Point. Next, I definitely wanted to have a Dala horse task. And I decided to have the life sized horses so we could have the extra task of teams rolling it around the city. That’s always a great task to have. And finally, one last challenge for teams as they search the area for the Pit Stop. Hopefully this will allow for some exciting finishes! Another task could also involve binomial nomenclature as well. Overall, a very full and exciting Leg! Lots of opportunities for great competition here.